When people are looking for a job, they may be frantically trying to get their name and resume out there as much as they possibly can. The thinking that just churning out cover letters will lead to job opportunities makes a lot of sense; it's just playing the numbers. 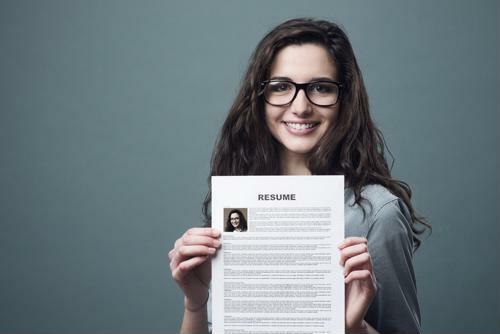 It should go without saying, but job seekers need to comb through their resumes two, three, four or more times to make sure there are absolutely no spelling or grammatical mistakes, according to Monster. Those can be an immediate red flag for someone reviewing a resume, the idea that a candidate either didn't know they made a mistake or didn't bother to check can be a big worry, even in a low-unemployment job market. When people are applying to many jobs, they may leave some aspects of their resume intentionally vague so they don't have to make too many edits from one resume to the next, Monster further noted. However, this is a mistake because specificity is often exactly what hiring managers are looking for. The more details applicants provide, the better. One of the common problems of being a hiring manager is that, after a while, resumes can really bleed together, according to Enhancv. Job seekers will often say they're "experts" at "innovating" and otherwise using a lot of industry-specific buzzwords that don't say much about job performance. With that in mind, instead of cliches, it's probably a better idea use language that clearly states achievements. There's a general tendency among job seekers to try to dress up their qualifications to be a little stronger than they are, Enhancv added. Saying there's expertise in software programs they're not familiar with, had a higher GPA in college than they really did, or held positions at companies they didn't actually hold are all classic examples of this. However, it's a bad idea, especially if the real facts are verifiable or likely to come up in an interview. Instead, just sticking with the facts is a better course of action. This is tied, in part, to vagueness, but it also includes the fact that when companies write job listings, they often include some stand-out keywords, according to The Balance Careers. Job seekers would therefore be wise to make sure they go over that listing carefully, find some words that stand out, and include those in their resume. This should be done for every job to which they are applying, to really ensure they differentiate themselves from the crowd. Finally, job seekers shouldn't take a "set it and forget it" approach with their resumes, The Balance Careers advised. Instead, it's wise to make sure every detail on it is up to date, especially where it concerns their qualifications, latest accomplishments, and so on. That will give hiring managers a much clearer picture of the kind of candidate they're dealing with.